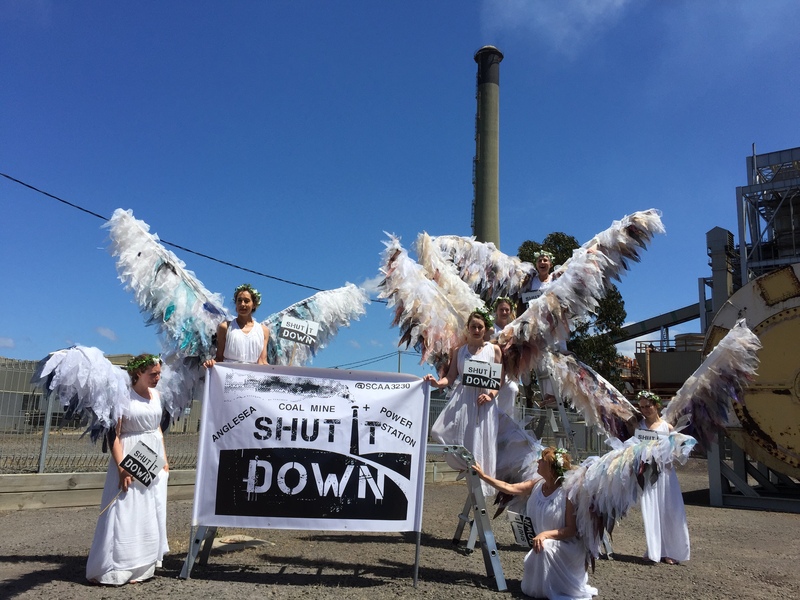 The Climate Guardians were invited by the lovely people of Anglesea to visit the horrible Anglesea Power Station today. A disgrace that this heavily polluting facility is located so close to a primary school and the homes of residents. 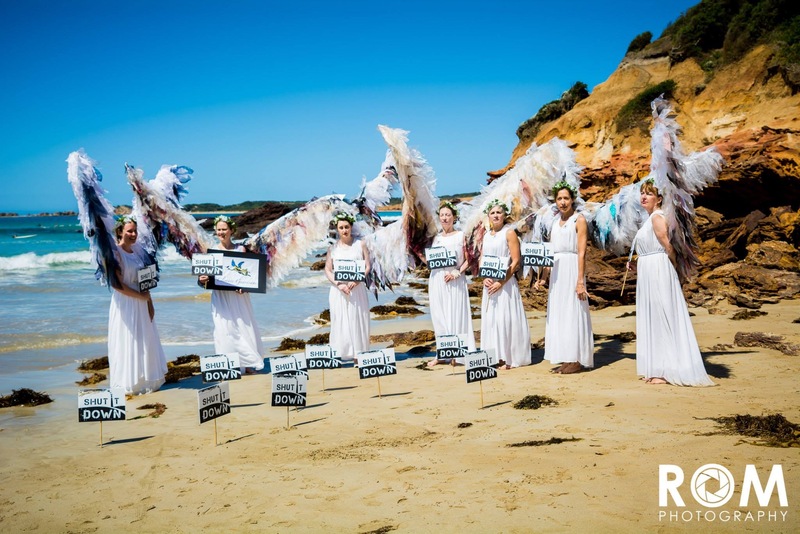 Anglesea is the third worst polluting plant in Australia, so close to our pristine beaches, houses and schools. 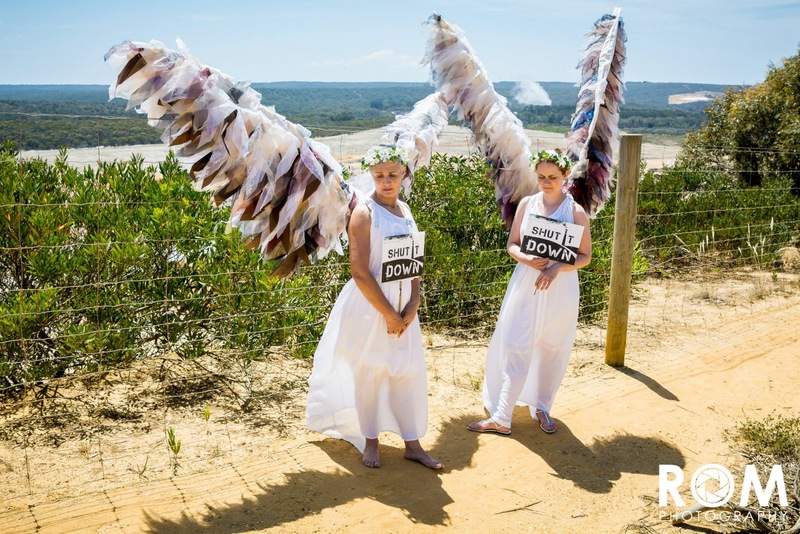 Climate Guardians were quite forlorn when visiting the ghastly Anglesea open cut coal mine today. 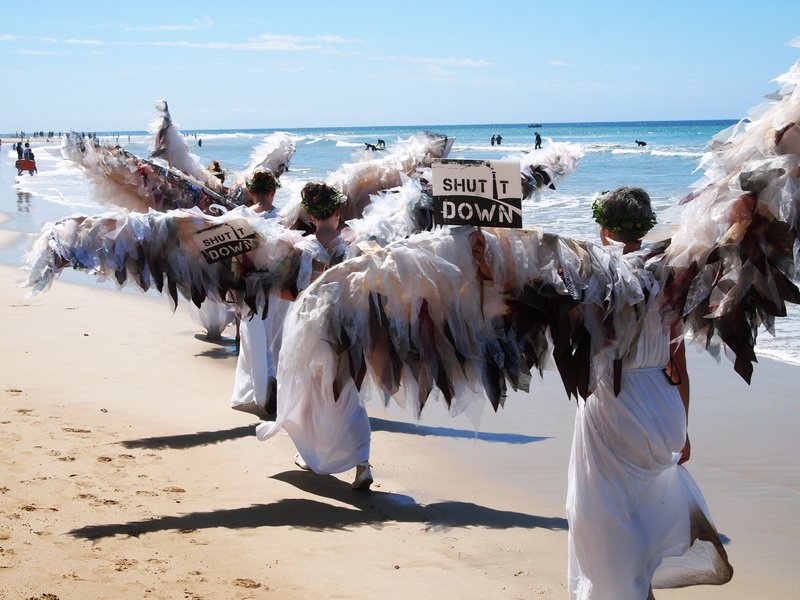 While visiting Anglesea we were given a scenic tour of the beach accompanied by lovely local angels. 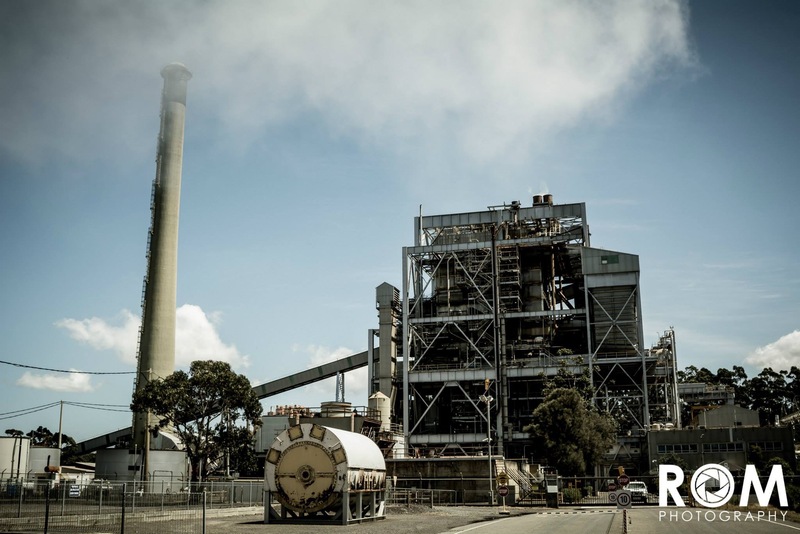 In such idyllic surrounds it is hard to believe the grossly polluting and obsolete Alcoa Anglesea coal plant is continuing to operate! 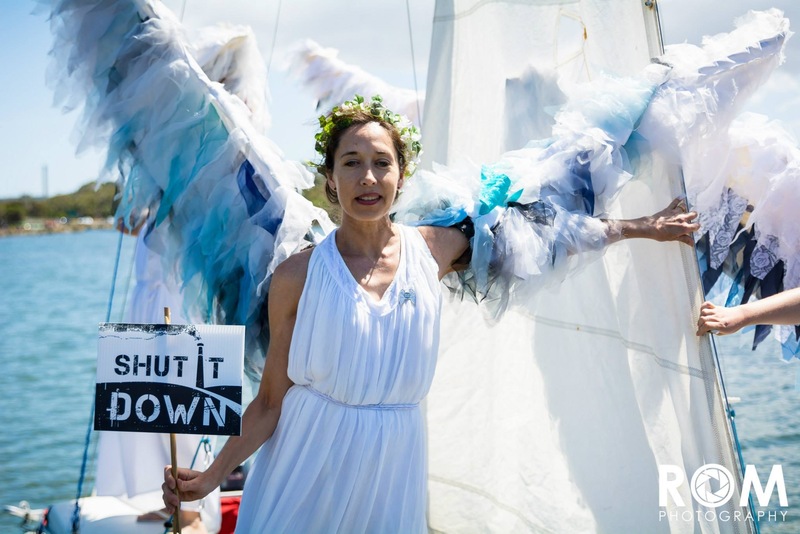 Thank-you Surf Coast Air Action for being such wonderful hosts, we hope we can visit your picturesque seaside village again soon!